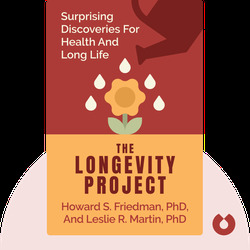 The Longevity Project by Howard S. Friedman, PhD, and Leslie R.
The Longevity Project (2012) is about the impressive and revealing Terman Study, which followed a group of people for eight decades in order to find out what habits and practices helped them live long and healthy lives. These blinks explain why marriage might not be as healthy as you think, and what you can do to improve your chances of happiness and longevity. 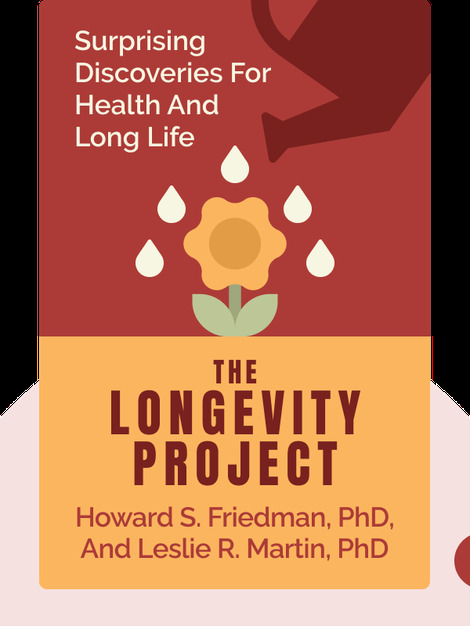 Howard S. Friedman, PhD, is a psychology professor at the University of California whose work in health and longevity has won him awards from the Association for Psychological Science and the American Psychological Association. His other books include Health Psychology and The Self-Healing Personality. Leslie R. Martin, PhD, a psychology professor at La Sierra University in California, is a recipient of the Anderson Award for Excellence in Teaching and the Distinguished Researcher Award. She specializes in finding ways to improve the physician-patient relationship and in forging psychological paths we can follow to live longer and healthier lives.